Become part of the team at MAKE SOUTH BEND. There are a few part time jobs available, and we're always looking for instructors to help with classes. 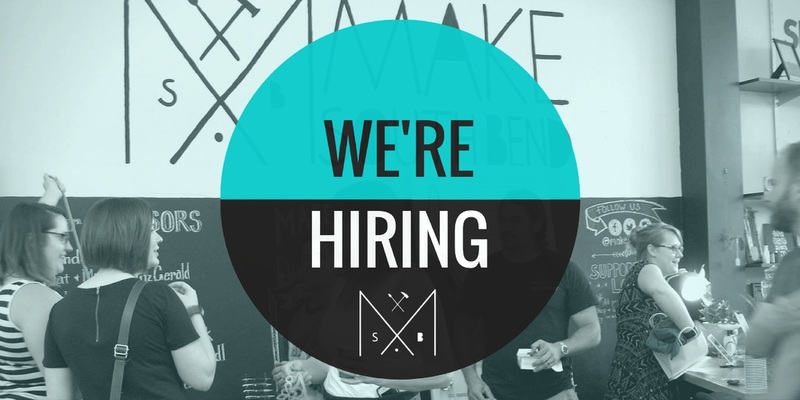 If you would like to join our team in any way, please send a letter of interest detailing what position you're interested in and an updated resume to info@makesouthbend.com. Description: The makerspace assistant helps in the daily details of running a makerspace from classes to the makerspace members to the customers who stop in just to shop. 2-4 hours a week or on rotation as available. Benefits: Access to full makerspace, tools and equipment; discounts on classes; South Bend shirt and swag, experience at a startup, great for resume, connections with local makers, artists and entrepreneurial community. Email michelle@makesouthbend.com with your cover letter and resume to set up an interview.